This book was an awesome read. My children loved it from the start, and my son who is four asks for it again and again. In some ways it reads like a darker, scarier Dr. Seuss. But the illustrations are so bright and vibrant and the tale so fun, children just love it. This is no Frosty the Snow Man; in fact it could almost be a Tim Burton take on the Frosty tale. 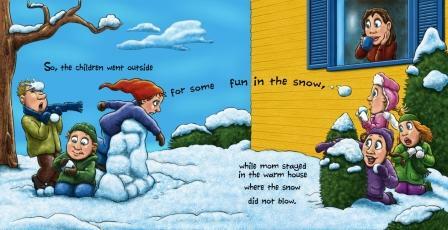 The book has 17 double page spreads of awesome illustrations with fun and different lettering. The story Mark Smythe has come up with is great fun and will thrill children of all ages. 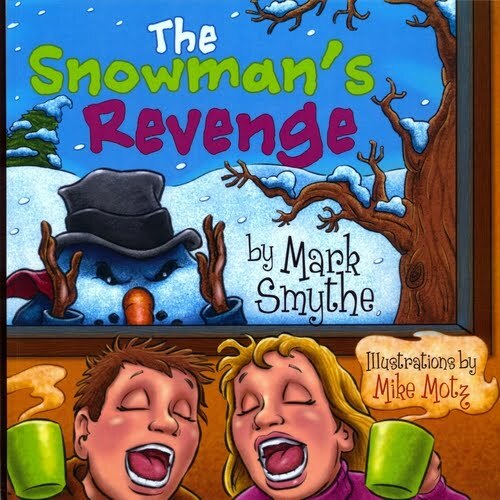 So give it a try, find out what a grumpy snow man can get up to.